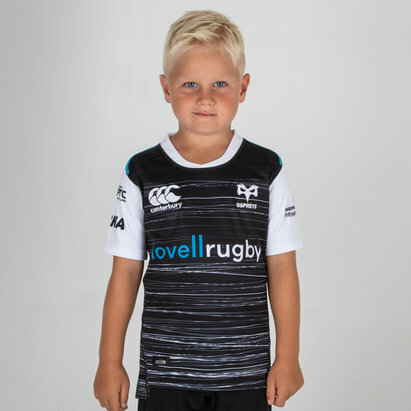 Hit the Liberty Stadium in those famous white and black colours this season with this Ospreys 18/19 Home Classic L/S Rugby Shirt. This shirt is made of lightweight 100% polyester material provides a durable and quality feel. 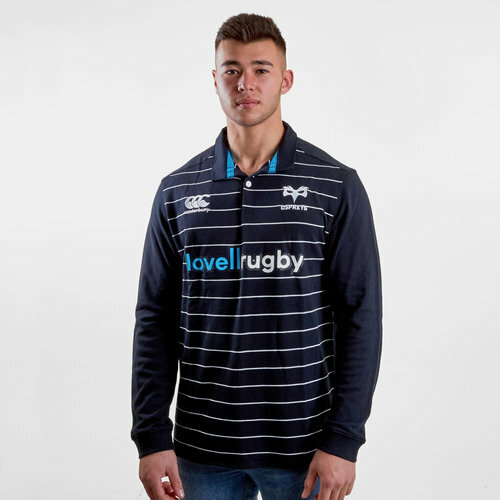 Engineered with Canterbury's revolutionary Vapodri technology it wicks away the sweat, keeping you cool and dry making for a comfortable choice whatever the weather or occasion. 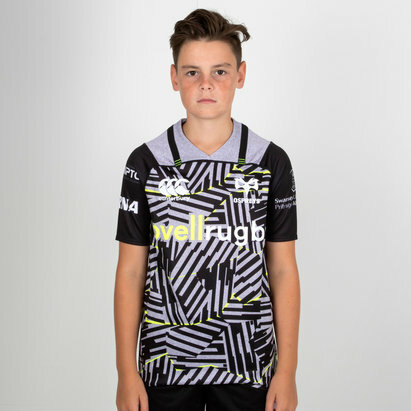 This shirt comes in a predominantly black with a white stripe design. 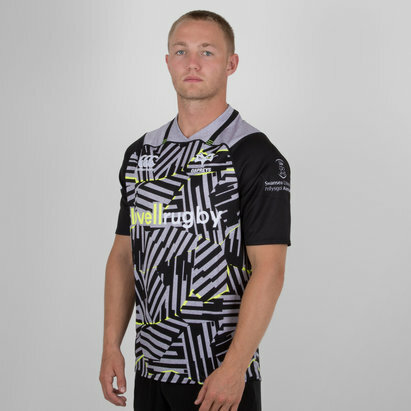 The club crest and Canterbury logo are embroidered on the shirt on the left and right as worn, respectively. 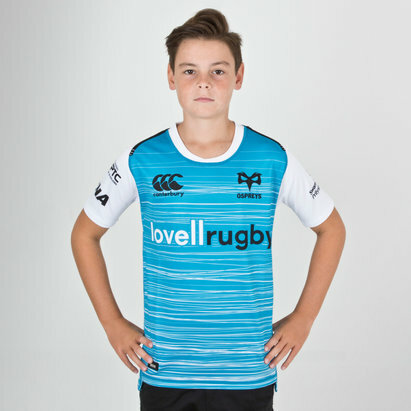 The club's sponsor - Lovell Rugby - is printed across the middle of the shirt. This shirt comes with an old school collar.